Just the word manoeuvres can strike fear into the hearts of most people who are learning to drive. Even for people who have had previous driving experience. And to this day I see lots of people who have passed their practical test and they still can't do most of the manoeuvres effectively. If you're one of these people then fear not. The L Factory has put together some hints and tips to help you improve these dreaded manoeuvres. 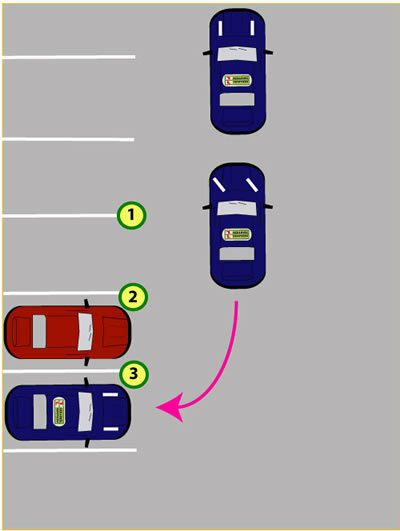 You will have to carry out at least one reversing manoeuvre during the practical driving test out of a possible four. You won't know which manoeuvre the examiner will choose on your driving test, so make sure that you get lots of practice to become confident with all of them. You might also have to carry out an Emergency Stop as well as a manoeuvre. The main things to think of when carrying out all the manoeuvres is to control the car well, your speed, drive slowly and observe all around during the manoeuvre. In 2017 the Driver and Vehicle Standards Agency (DVSA) wants to update the driving test to bring it up to date with modern driving methods.